was born on July 28, 1886 at Johnson, Nebraska. At an early age, she moved, with her parents to a farm just east of Lebanon, Nebraska. in Wilsonville and in Lebanon. 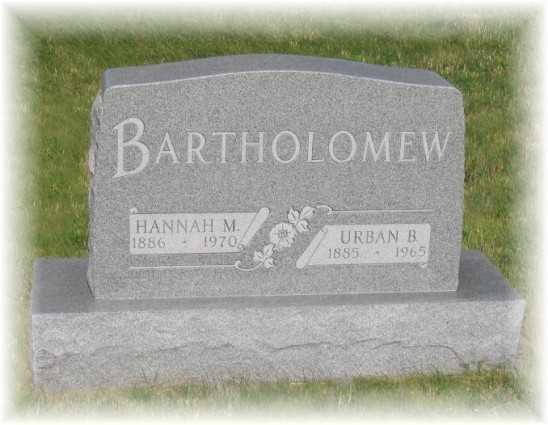 She was married to Mr. Urban B. Bartholomew at Lebanon, Nebraska on June 28, 1916.
where she passed away on March 31, 1970. She was a member of the Presbyterian Church and Sunday School in Lebanon until she transferred to the Methodist Church in Cambridge, where she was an active member of the church, Sunday School and Women’s Society until her lingering illness. She was a devout Christian, living and practicing her religion. She was a member of the Rebekah Lodge of Lebanon and Cambridge. her husband, Urban and her son Dwight. and many friends. She was a kid mother and will be greatly missed by all. the illness and death of our mother. and to the I.O.O.F. Brethren who acted as pallbearers. and all the other considerations, which they extended to our families. with the Rev. Robert N. Ditterline pastor of the Cambridge Methodist Church, officiating. Naomi Ommert and Burton Mosley sang “Beyond the Sunset”. pastor of the Lebanon Presbyterian Church officiating. Music was furnished by Rev. Ditterline and Mrs. Frances Warner at the piano. of which he was a member. They were R.D. Wiedeman, George Tomlin, F. H. Brown, Floyd Breinig, Percy Thomas and Willard Williams with interment in the Lebanon Cemetery. on his father’s homestead near Lebanon. moved to Cambridge, where he passed away on May 6, 1965 at the Cambridge Memorial Hospital after a lengthy illness at the age of 79 years, 11 months and 22 days. He was married to Hannah Kaiser, June 28, 1916. 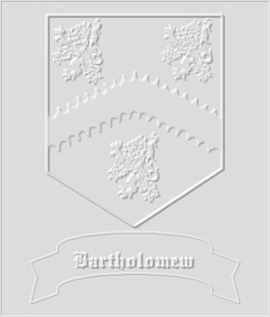 To this union were born three children, Dwight, Robert and John. the community by operating a store for eleven years. until he transferred to the Methodist Church in Cambridge. He was a devout Christian, living and practicing his religion. He was a member of the Odd Fellow Lodge in Lebanon and in Cambridge. Preceding him in death was a son, Dwight. two daughter-in-laws, six grandchildren, many nieces and nephews and many, many friends. He was a kind husband and father and will be greatly missed by all.